Last week, our Digital Marketing Manager attended Social Media Week London. Here, she summarises her top 5 takeaways and translates them into 2019 social media trends to watch. 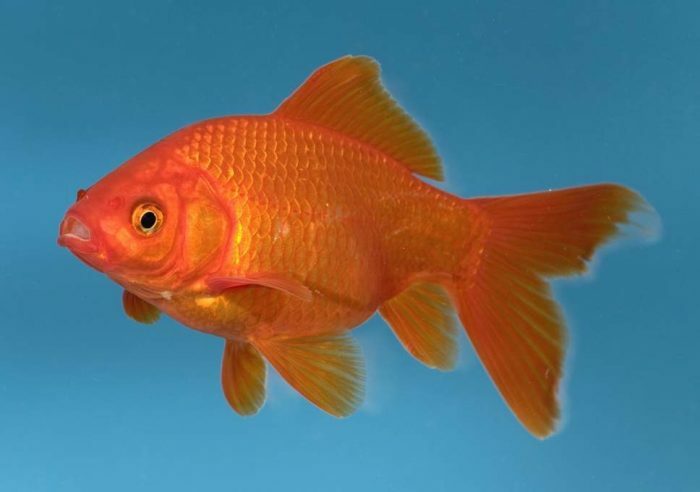 There’s a pervasive myth that humans have shorter attention spans than goldfish. 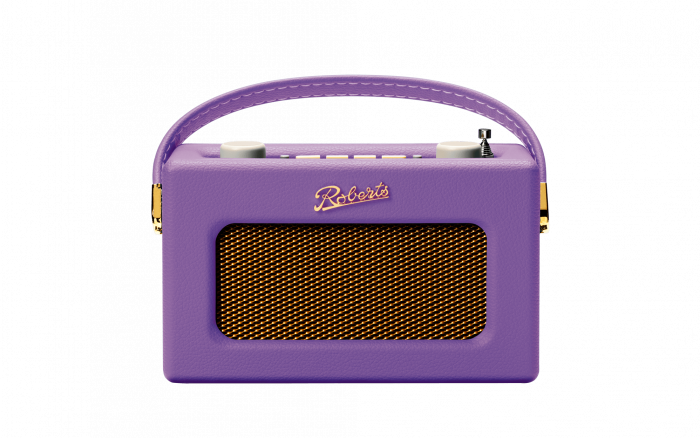 Don’t listen to it, said Dom Whitehurst, Head of Digital Engagement at Wavemaker. There’s actually evidence that the opposite is true. Feature films have gotten 30% longer. We’re binge watching television shows, carving out the time in our days to watch content we like. Reed Hastings of Netflix has famously said that Netflix’s biggest competitor is sleep itself. So why does this falsehood seem true? There are two reasons. 1) The data is skewed. Advertisers see people spending less and less time interacting with their ads and blame shortening attention spans. In fact, it’s because humans will do anything to avoid seeing advertising. A study showed that given the option between an advertising or nothing, we’d prefer the blank screen. We’re adept at skipping or silencing anything that isn’t relevant to us. Content that looks like an ad will be ignored or discarded. 2) The amount of content out there is rising more quickly than our capacity to be attentive towards it. This doesn’t mean we need shorter content, it means content creators have to do better. What’s the answer? Investment. We are currently in the most competitive space for brands. If we’re trying to win attention, we have to have the best stories and the most engaging content. One of the best presentations of the conference was given by Mo Film, who interviewed members of Gen Z on their feelings about social media and how they use it. They were born between 1995-2010, meaning the oldest of them are 23 and 24 and already shaping the workforce. They’ve never known a time before the internet. Their families were strongly affected by the Great Recession. Gen Z are hyper-aware of their future career prospects. They’re into self-expression. For them, social media is about what they think, believe and do, not what they look like. They’re politically active. As a result, they like brands that do good works and align with good causes. 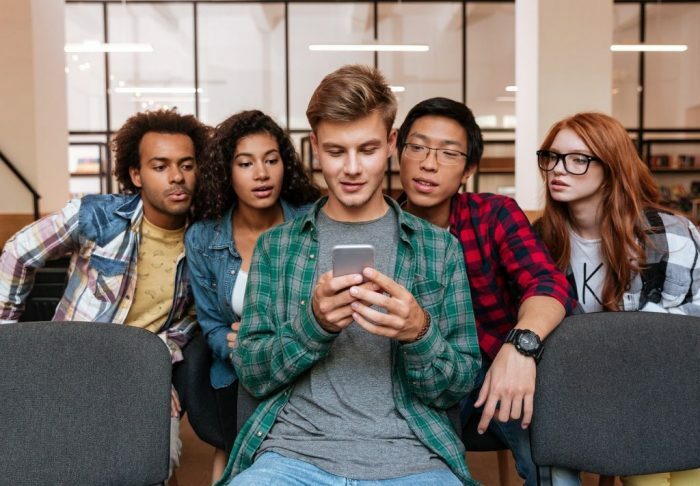 Gen Z’s favourite platforms are Instagram and YouTube. The others? According to those interviewed: “Facebook is dead” and, “nobody uses Snapchat anymore”. It’s of the utmost importance that we alter our social media strategies to capture the attention of this generation. So, what are the best ways to reach Gen Z on their terms? Be positive. This generation is inundated with bad news. Stay authentic. What they respond to is honesty and personal experience. Align with a social cause. Don’t try to use their lingo. No-one wants to hear a grown-up saying “Bae”. In 2015, the phrase “pivot to video” became widespread as written content took a back seat to short-form video content. However, while everyone was adjusting their content to be more and more visual for social media, the rise of audio took us all by surprise. Shaun Collinson, Senior Social Media Producer for BBC Radio, talked brilliantly about the “podcast explosion” and explained why everyone, including the BBC, is renewing their investment in audio. In the early days of social media, there was much more focus on community. While once- thriving spaces like Facebook Groups or LinkedIn Groups are now full of tumbleweeds, podcasts are the ones fostering the niche audiences and building communities. What happened when Kim Kardashian joined a Chinese social media app called Red? Well, not a lot. Joel Beckaler, MD of Frontier Strategy Group, walked us through the reasons why influence doesn’t always travel well and showed us what can happen when influencers go into other markets. Kim Kardashian’s failure to make an impact in China shows us that her brand recognition is limited outside the US. It also reinforces that Chinese consumers don’t want to learn from foreign superstars, they want to learn from someone with similar tastes and preferences. In China, it’s all about local influencers. China’s Zhang Dayi is an influencer who out-earns Kardashian and you’ve probably never heard of her. The same goes for Mr. Bags, a Chinese influencer who helped Tod’s sell out of a certain type of handbag in six minutes. Local influencers are emerging in countries all around the world, opening opportunities for companies to expand internationally. It’s crucial for brands to segment and think local, not apply a blanket Kim K-approach to their international marketing. The final talk of the conference looked to the future and determined the key social media trends for 2019. First, we looked back at the year we’ve just lived through. In 2018, people felt that their identities were under threat on social media – politically, culturally and personally. People railed against it and many explored deleting their social media accounts or tried to take back control of their data. One canny kid even tried to sell his own Facebook data on eBay. The brands who were successful were the ones who were brave enough to tackle these issues head on and use social media as a forum for change. Nike’s Kaepernick ad is the best example. 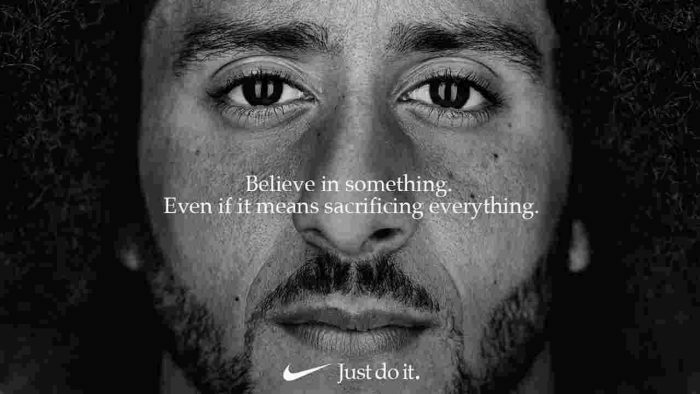 However, many brands are not as big or as brave as Nike- they fear to stand for something, they fear reprisal if they have a strong opinion. Looking ahead to 2019 social media trends and takeaways for the year ahead, it’s clear that consumer expectations have changed. They require honesty, bravery, proper representation and innovation balanced with responsibility. It’s time to step up.